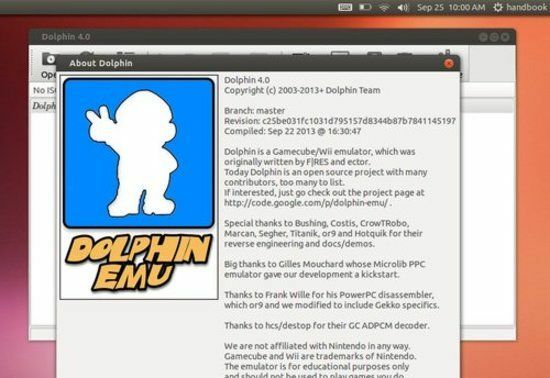 Dolphin is an open-source Gamecube, Wii and Triforce emulator for Windows, Linux and Mac OS X. It was the first emulator to successfully run commercial Nintendo GameCube and Wii games, and is the only emulator capable of running commercial Wii games. GPU with Pixel Shader 3.0 or greater. Some integrated graphics chips work but it depends on the model (and only with DirectX 9). The Emulator and its dependencies are available in launchpad PPA for Ubuntu 13.10 Saucy, Ubuntu 13.04, Ubuntu 12.10, Ubuntu 12.04 and their derivatives.